Head to Palladium Shopping Center Prague and Manufakturafor plenty of shopping. Get some cultural insight at Národní technické muzeum and Old Town Bridge Tower. And it doesn't end there: let little ones run wild at Kampa Park, stop by Pernickuv Sen, admire nature's wide array of creatures at Prague Zoo, and indulge in some culinary diversions at a local gastronomic tour. To see traveler tips, ratings, reviews, and other tourist information, read our Prague trip planner. If you are flying in from Israel, the closest major airport is Václav Havel Airport Prague. 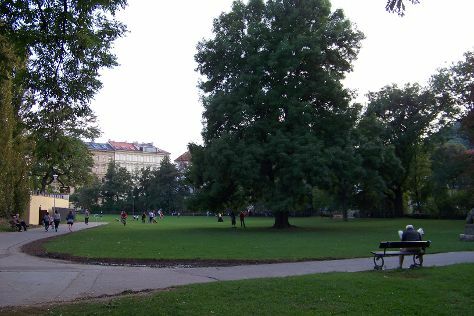 In October, daily temperatures in Prague can reach 17°C, while at night they dip to 7°C.